An essential addition to any pencil case, these HB Pencil with Rubber 12 packs are perfect for a host of working environments. From schools through to offices, these comfortable grip pencils provide a smudge free line for sketching, non-permanent notes and other tasks. Each pencil has a hexagonal burnished barrel for ergonomic holding with an integrated rubber to help with correcting mistakes. 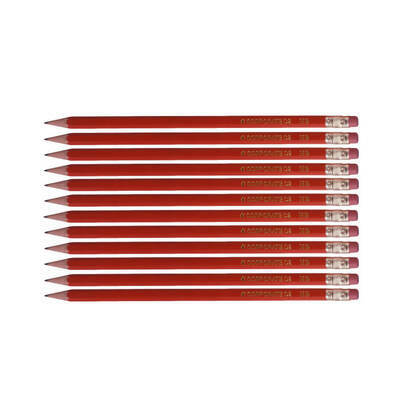 Offering exceptional value for the pack size, these pencils can be purchased as replenishment stock or for specific projects - depending on your needs. Alongside this HB pencil pack, we also have a wide range of Stationery items available at wholesale prices. From our Drywipe Markers through to Mini Magnetic Whiteboard Erasers and Highlighter Pens, ensure your stocks are kept full on every visit.